A few weeks ago, I covered the first inaugural Pinky Promise Ball held in Memphis. About 40 girls, were presented to their family and friends in a debutante-style ceremony that revolved around sexual purity before marriage. Dressed in formal regatta, these high school girls took a purity pledge, danced a waltz their fathers and received sapphire purity rings. Shelby County has the highest teen pregnancy rates in the state, according to the most recent data. (center) Keandria Craft waits with other girls to join in a ceremonial pledge of abstinence at the inaugural Pinky Promise Ball. 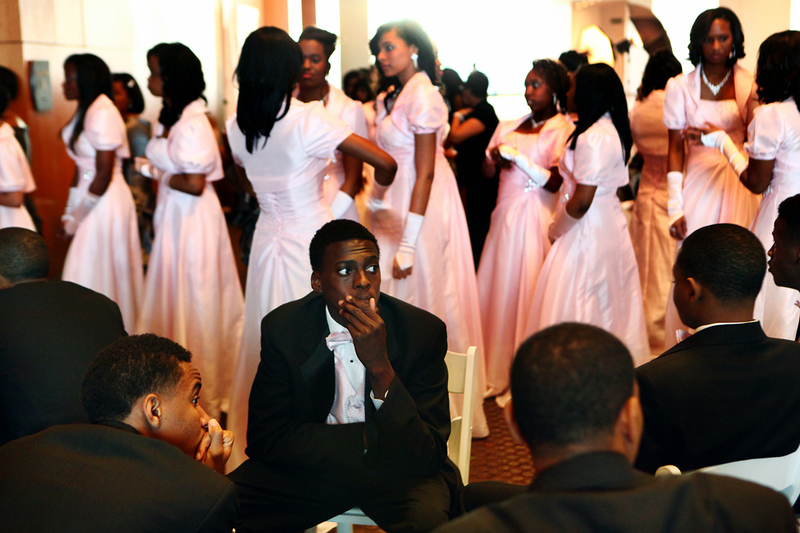 (center) Jalen Burkins waits with other escorts to present girls to their family and friends before taking vows of abstinence at the inaugural Pinky Promise Ball. 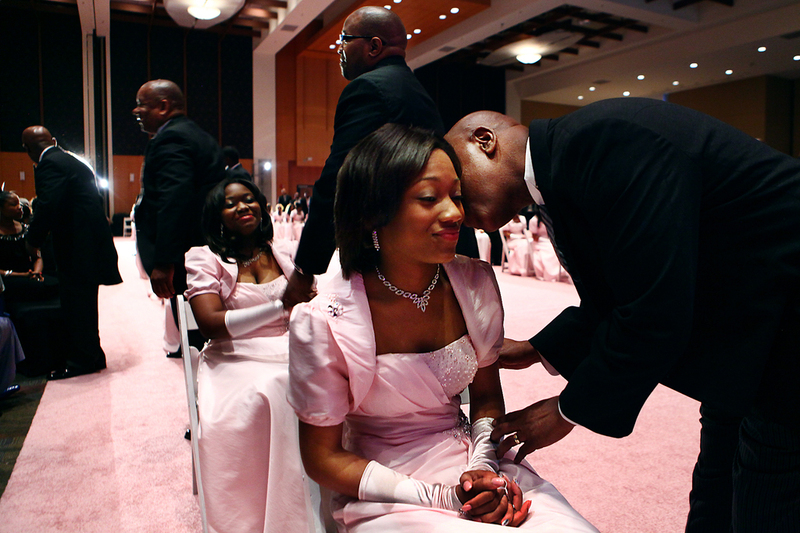 (right) Jameel Hasan kisses his daughter (center) Cardeisha Morris on the cheek after presenting her with a ring to commemorate her vow of abstinence at the inaugural Pinky Promise Ball held at the Cook Convention Center.